Rated 5 out of 5 by Shari Deisree from BRING THIS BACK PLEASE!!! I have been using this product for the last few years. Although I am in my 30s, I still have breakouts and this product is my all-in-one that address my dry skin, evens tone, and helps to prevent any acne breakouts. I have been shopping at mutiple stores to try and find this product and now I am crushed to know that it is flat out unavailable! Please bring this back! Rated 5 out of 5 by Emschools22 from Bring it back!!!! I just finally ran out of my bb cream and now i have to deal with break outs of trying new things. 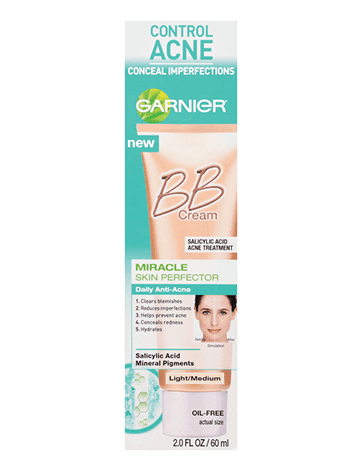 You guys need to bring back the best bb cream there is! Rated 5 out of 5 by SamiLeeB from My skin misses it! Please bring it back! Please bring this back!! I’m in my 30s & I’ve battled with acne prone skin my entire life and I’ve NEVER found anything that worked as well as this! It cleared up my acne like nothing else and the coverage it offered was so excellent I could actually use it in place of my foundation! On top of all of that I absolutely loved the scent as well! It smelt refreshing and pleasant. I miss it!! My skin misses it!! Please bring it back! I’ve never written a review, except for when it matters. This product deserves it! Rated 5 out of 5 by sam92 from Bring this back I absolutely love the anti-acne cream. The so-called even better replacement isn't better. The salicylic acid worked so well at keeping my skin looking good. Please bring this back. Rated 5 out of 5 by LoriaCal from Please Bring this Back!! I am at my last drops. This B.B. cream was perfect for my skin and I loved the light coverage. Please bring this back!! No one else has a BB Cream with salycilic acid. Rated 5 out of 5 by Tamaki1618 from This was the best I bought this on a whim when I saw it was a cover up that was also good for acne. I have never found something as amazing as this. It helped clear up my acne and gave me amazing coverage. I've been milking the tube down to the very last bit because I can't get anymore and I've finally reached the last of it. Super disappointed I can't get anymore. The other creams just don't work the same... Why did you discontinue such a great cream? Rated 5 out of 5 by AmyLyn from Amazing! So sad it's discontinued! I wore this for 2 years every day and my skin was great! I loved it and would often use it alone with no other makeup. I am devastated they don't make it anymore, I'm starting to break out again. I got the anti aging one but it doesn't look or feel the same. This was a life changing product!